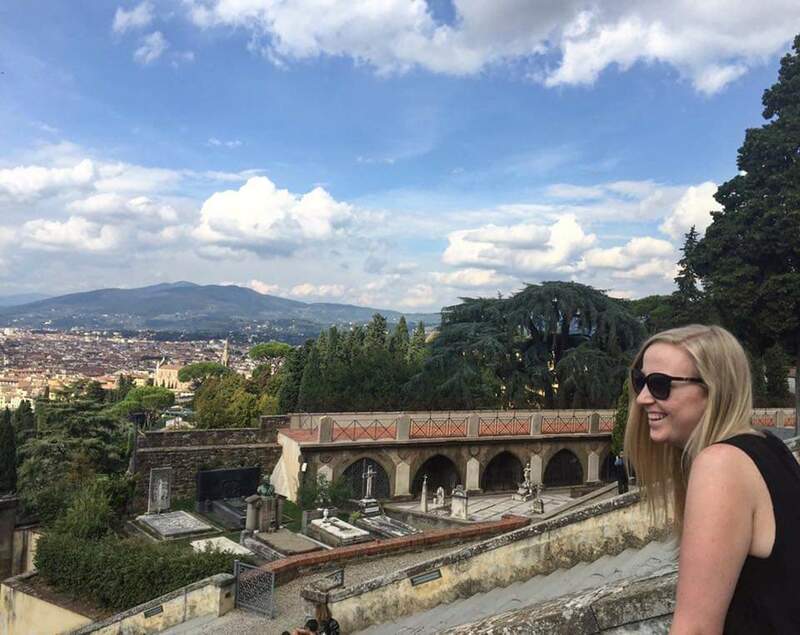 I'm a bit sorry for the picture quality in this post, sometimes the lighting just isn't my friend and there isn't a massive amount I can do about it. Today I'm going to introduce you to a restaurant which at first glance you wouldn't necessarily associate with Italian cuisine but the second after you taste it, you just know. The restaurant is called Konnubio, it's very interesting because not only do they do a range of meats and fishes they also have a variety of vegan options and do offer even gluten free foods as well which I found incredibly impressive. The thing that melted my heart a little was actually that they had an English version of the menu, sometimes it's just nice to see words that are familiar. The restaurant was actually an old converted leather shop, Florence is known very well for it's leather but I thought that was a little interesting fact about the restaurant. 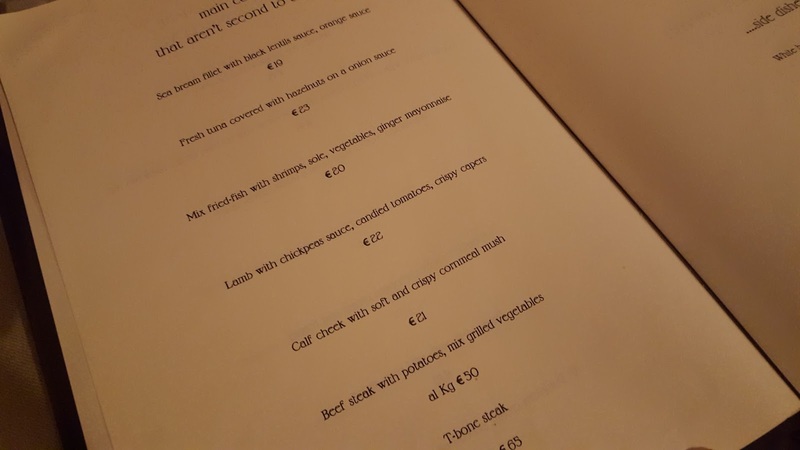 I must admit when I was looking at the prices I though that they were a little steep for just a main course but I wasn't even expecting it to arrive as it did. At first I was really torn between having the Lamb or the Calf Cheek but because I've never hard calf cheek before I went with that option. The cornmeal mush was interesting, again it was something I've never hard before and cornmeal is basically like a flour that is made from dried maize, it was a looser texture than standard mashed potatoes but was very appealing anyway. We all ordered a side dishes of just roasted potatoes which you can see in the picture. We didn't order starters but still kinda got one anyway, as with most restaurants they provided us with bread and there was a wide variety of different breads and tiny little buns, I particularly liked these tiny little rolls that had raisin in them, but the bread itself wasn't sweet. 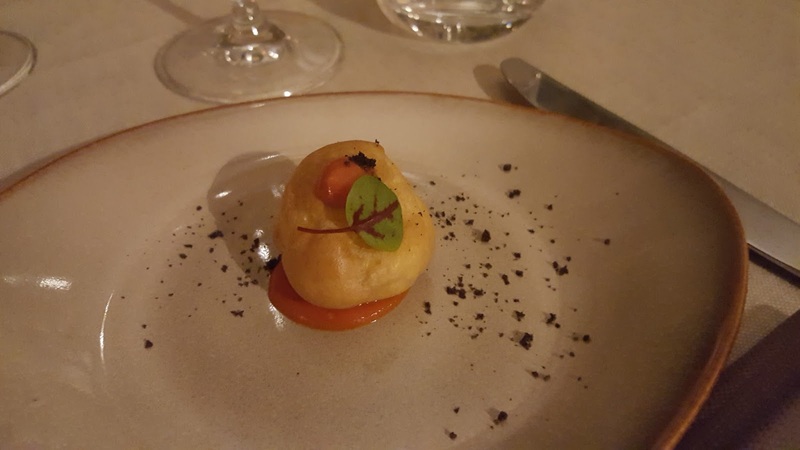 Then we each were given these tiny little bread balls which you can see pictured. Well I had no idea what to expect, I mean I didn't even now whether it would be warm or not, but when I cut into it with my knife there was like a meat paste inside, bloody delicious which was also infused with herbs. I still have no idea what it actually was. When my main arrived I couldn't wait to tuck in, as you can see it was beautifully presented. 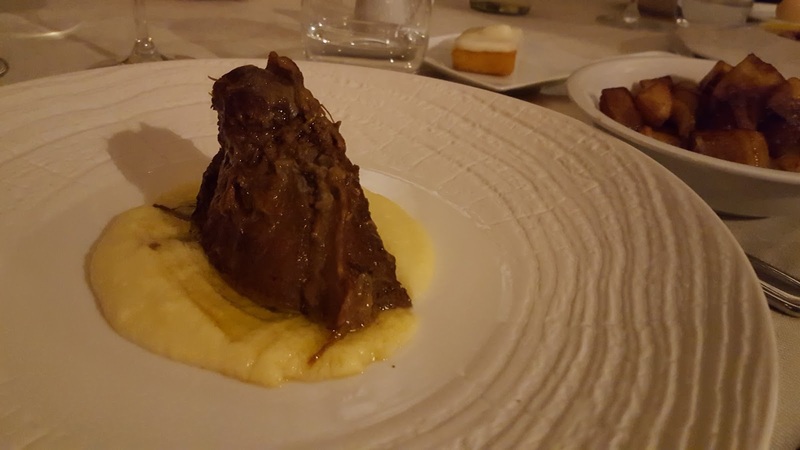 The calf cheek was probably the most tender meat I have ever eaten in my life, you barely even needed a knife to cut it because it literally fell apart. The cornmeal mush was a nice accompaniment to the meat but I wouldn't say it tasted amazing, it was nice but the real show stopper was the meat of course. As I mentioned I also got a little side dish of potatoes and they were gorgeous, they were roasted with rosemary and had some olive oil over them, really really tasty I pretty much ate the whole dish. Another thing that arrived which you can just about see in the back of the picture was a little square of fried polenta, which melted cheese on top something I wasn't expecting at all to come with my dish. That was pretty tasty but the cheese was very strong, I couldn't eat it all. The evening was then finished off in a very traditionally Italian way by each of us having a little shot of limoncello, delicious. We split the bill 6 ways and it only came to 30.50 EUR each which I think is bloody fantastic considering we had wine etc. 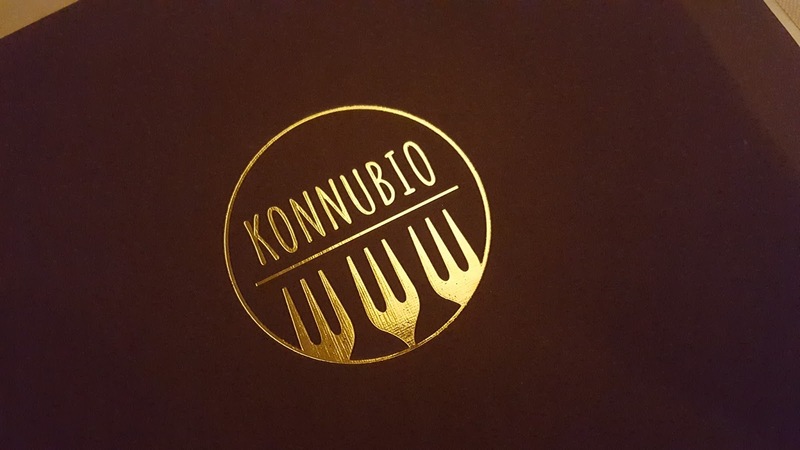 I think if you want to try out something a little different than "stereotypical" Italian food then you should check out Konnubio. What is your favourite type cuisine?